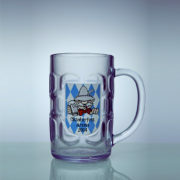 Beer mugs are indispensable glasses during the Oktoberfest. 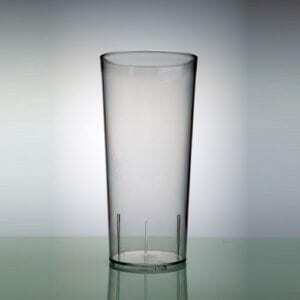 These traditional festivals naturally require a really strong beer glass. 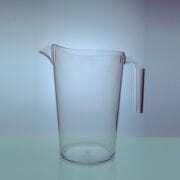 Our glass of the Metal with a capacity of 0.40l (up to the drinking rim 0.55l) should not be missed here. 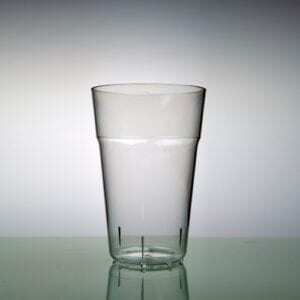 Advantages of this glass: they are virtually unbreakable and can be used in several times during these cozy events. 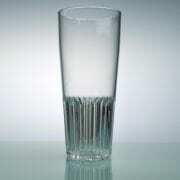 Besides the Oktoberfesten, the glass can also be used for other purposes. The Metal reusable beer mugs are packed with 56 glasses in a box. Make a real eye-catcher for your events? 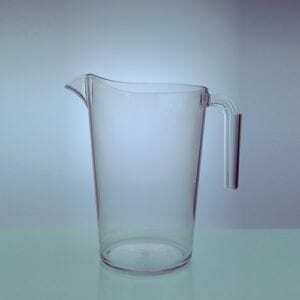 Look at the possibilities for printing our beer mugs. 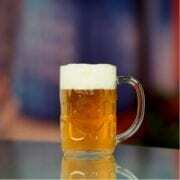 Drink beer from a beer mug, nice and robust and at the same time also cozy. All together at a long wooden table during the Oktoberfest or just in the pub. The Metal hard plastic beer mugs are a real eye-catcher during various events and with a content up to the edge of 55cl a real must have. 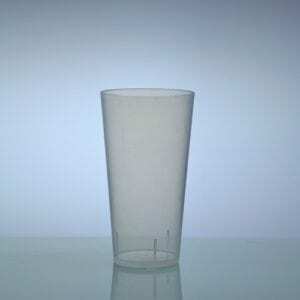 This sturdy glass is made of polycarbonate and reusable several times. 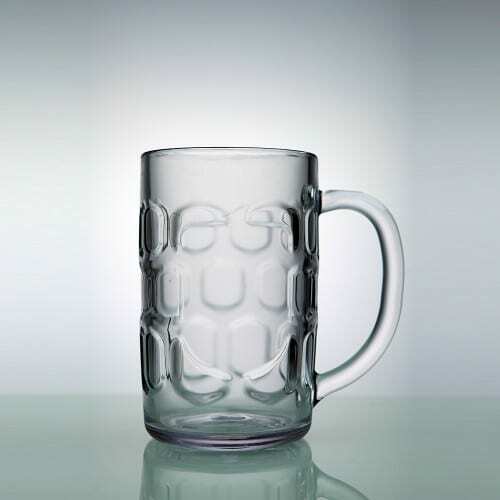 The beer mug is available from stock with smaller quantities from 56 pieces in a box. Additional prices> 20,000 pieces on request. 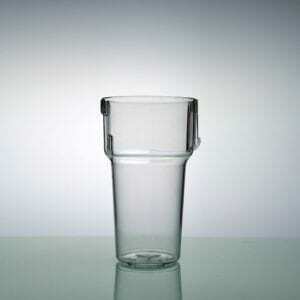 The plastic beer glass is crystal clear, virtually unbreakable and reusable. You can also put the Metal in the dishwasher for proper cleaning. 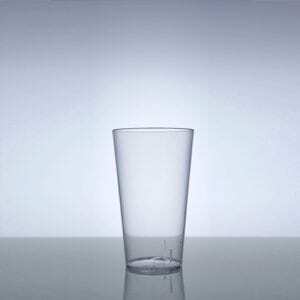 Because we work with the material polycarbonate (PC) all our glasses are 100% recyclable, this means that we really do our bit to contribute to a better environment. 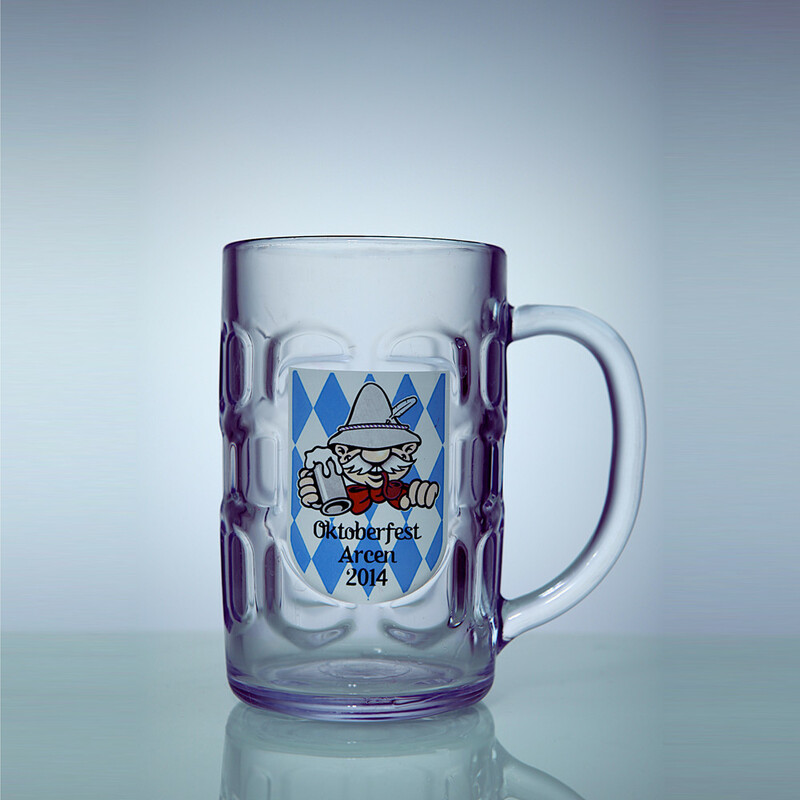 If you want your beer mugs to stand out from all other glasses, put a logo or another image on the glass for a real eyecatcher and recognition. Color printing is already possible from 1 box of 1 color to full color. More information about printing can be found on our website or contact us. Always view our delivery conditions.